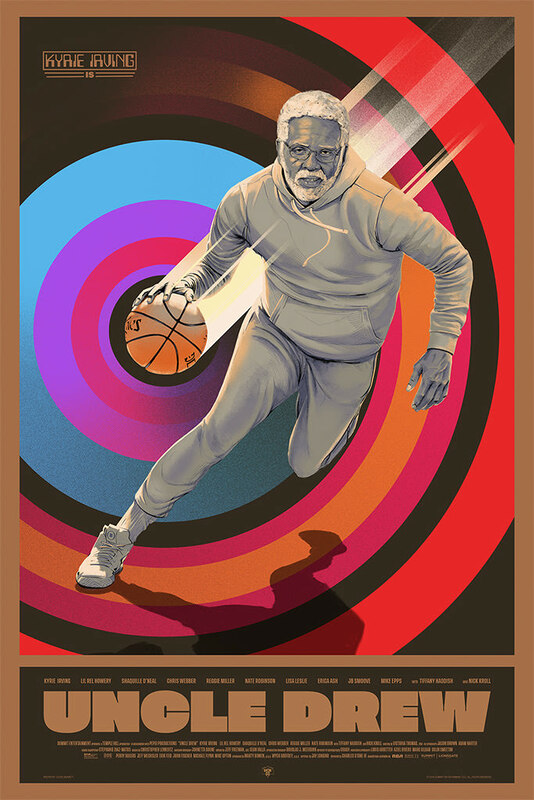 Mondo will release an amazing poster for Uncle Drew by Oliver Barrett tomorrow morning. It’s a 24″ x 36″ screenprint, has an edition of 225, and will cost $50. It goes up tomorrow (Friday, June 29th) at a random time. Visit Mondotees.com.